Howie Tootalot in Yellowstone: The Legend in Lake Isa is a fun children’s book that talks about conservation and respecting the wilderness. What was the inspiration that made you want to write this children’s book? I’ve written somewhat serious books and articles about nature and science previously, but when I’m with the family– we are often goofy. We visited Yellowstone and my son asked me about Lake Isa, which sits atop the continental divide and therefore drains in two different directions. I began crafting and telling the story during our visit there. Our son enjoyed the story and laughed at the character names. We also had several bear encounters on the trip. I had lived in Alaska, so I was weary of Grizzly bears, but less careful with the black bears. Once I even got out of the car in Yellowstone to get a better look at a bear and cub in the woods. That was not a smart move. So our story about Howie Tootalot deals with the intoxicating grandeur of wild places like Yellowstone and the care we must use in how we love and appreciate them. I finally suppressed my MFA-serious ego enough to have fun with the story in print. I did publish under the name Lou Jenkins, which I now use for all my children’s work. This story takes place in Yellowstone National Park and portrays the natural beauty of the land. What draws you to Yellowstone and why do you think it’s perfect for a kids story? Kids feel the connection to wilderness. I’d written about the connections possible in Every Natural Fact: Five Seasons of Open-Air Parenting under my name Amy Lou Jenkins. We all need to foster a connection to natural spaces, because there are so few opportunities to escape the pressures of consumerism. We and our children are bombarded with the notion that we need to buy something new. We are told that we need to consume because we and our possessions are somehow flawed. Instead of purchasing something to fix our problems, nature allows us to experience source. We are natural beings. We can have independent thought while not bombarded with proprietary messages. Studies say that the number one way to build a love for wild places is to take kids to wild places. That’s a strong promise and scientific finding: take kids to wild places and they will build a connection to something real and unadulterated. While a book is second best to visiting Yellowstone, it is another way to make and support that connection. The art in this book I felt was very creative. What was the art direction like and how did you make the decision on what went into the pictures? Thank you for noticing that the artwork was not standard. We wanted to support the connection to Yellowstone, so we had actual photographs of the National Park cartoonized. Children who are lucky enough to visit Yellowstone will recognize actual landmarks, animals and plants from the book. Since the main portion of the book took place before the park existed, some of our illustrations came from national archives in the public domain. Children who never visit Yellowstone, will still recognize landmarks in images that are iconic in our culture. Children can begin to build a connection to National treasures such as Old Faithful, Mammoth Springs, The Grand Prismatic Spring, and Lake Isa. We hope that connection is based in fun, awe, and the sense of original identity that is nurtured in wild places. Thank you for asking. We have just finished the artwork for more paper puppet characters in the Tootalot series. As you know, we include links in the books that allow readers to download and assemble articulated paper puppets. Many children enjoy a hands on experience as a part of play. Children who are not drawn to books, might be able to access the fun and play of reading with a character from the book in their hand. Yet even voracious readers, might extend their own imagination from reading to other play time. I’m also a Registered Nurse and have worked in community health. 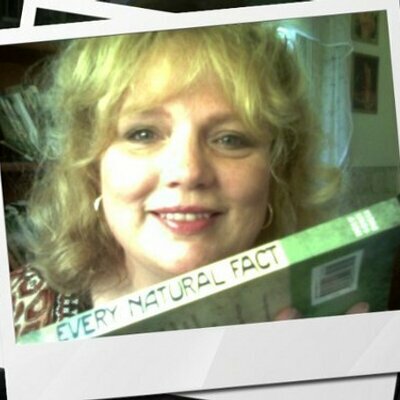 I used to tell my children a story about the “magic mark” based on my experience in school nursing. My daughter used to ask me to tell her this story over and over. Many children have differences, and this story is about a girl with a port-wine stain. We include a student in a wheel chair, and work to represent a wide-range of children in this tale with a magical element. At its core, is a cheer for all who learn how to love each other and accept differences. Look for this new book, the third in theTootalot series, by the end of the year. Why does the water of Isa Lake drain in two different directions? Follow Howie Tootalot to the wild land we now call Yellowstone as he and his new bear friend explore the wild geysers, waterfalls, lakes, rivers and more. Danger surrounds them, yet lessons from the wild and the wilderness itself will save them. Learn the Tootalot family legend. Children may download and assemble their own free puppets—just like the ones in the story. Great fun for reading and play at home or in the car. Howie Tootalot in Yellowstoneis the second in The Tootalots series. Award-winning parenting author, dons a pen name and introduces Howie Tootalot in this fun legend that offers giggles and some important ways to deal with respecting the danger and wildness of natural wonders such as Yellowstone National Park. 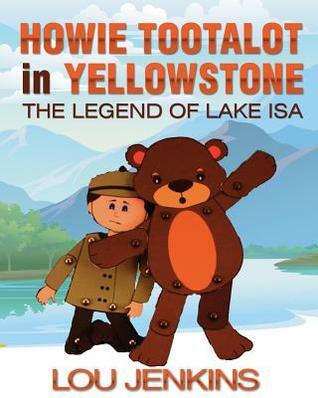 Howie Tootalot in Yellowstone: The Legend in Lake Isa by Lou Jenkins is a fun and engaging children’s book. The reader follows the tale of Howie and his grandmother as they journey to the land that would become Yellowstone National Park. In the park Howie befriends a bear cub named Seymour and adventures ensue. Jenkins has crafted a creative children’s book. You can make the puppets of Howie and Seymour by downloading them online. This is a creative addition that adds another dimension to an already fun book. Being able to read this story to a child and then create those same characters makes this an activity book as well and extends the time children spend with this book. This along with the message of taking care of Yellowstone is a nice way to subtly provide a conservation starter for children. There are plenty of artistic and imaginative bits of art in this book that I greatly appreciated even in ebook format. I really enjoyed the pictures, especially those of the various animals that can be found in Yellowstone. The language that Jenkin’s uses is perfect for a young child’s capabilities. The names are funny and should keep children’s attention. I would be shocked to hear that a child could read through this story without laughing once. With names like “Ma Fanny” for the grandmother or “Seymour Heinie” for the bear cub, I can only smile at the thought of children who would laugh in good natured fun. Jenkin’s is able to capture a child’s innocent humor in this book. The book’s plot is set up like a tale told by Francis Tootalot about his ancestor Howie. The story itself showcases a lot of animals and different places that are famous in Yellowstone; like the geysers and forests. To children, this kind of meandering plot may not bother them, because Jenkins’ does a great job filling these instances with pretty pictures. In some ways it reminds me of a children’s show on television, which may be where Jenkins’ pulled inspiration from. The best takeaway from Howie Tootalot in Yellowstone is not only the ecological message that Lou Jenkins’ provides, but the fact that the Tootalot family are part of an ongoing series. There is a lot to enjoy here and I believe any parent can appreciate the message behind the fun.